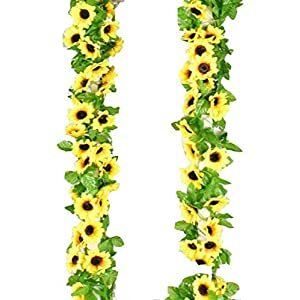 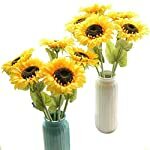 Size: length 26.4 inch, sunflower head diameter 6 inch. 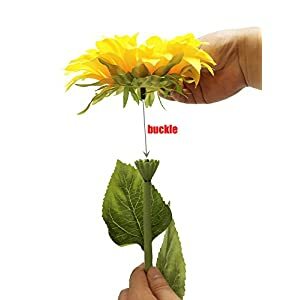 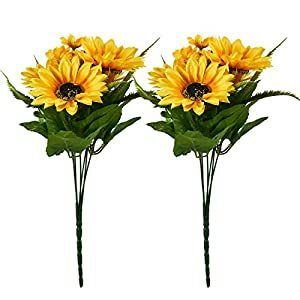 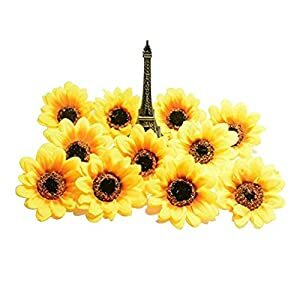 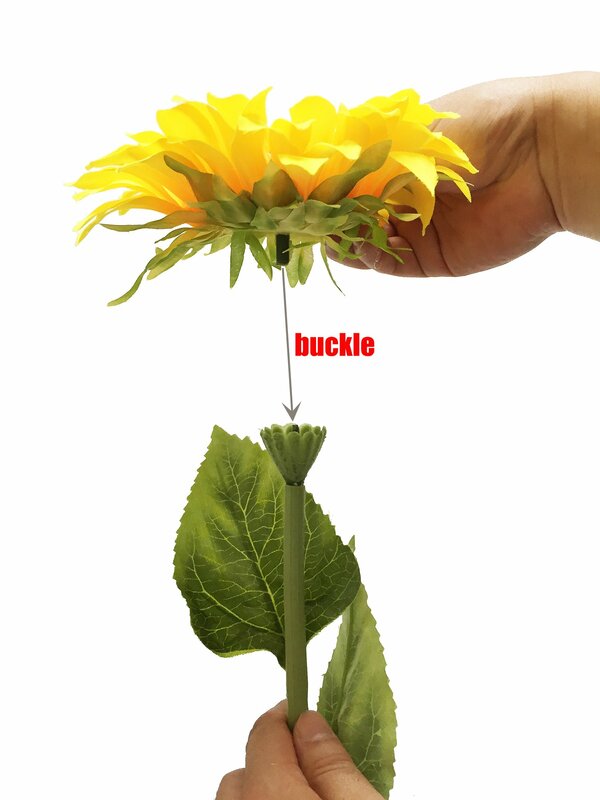 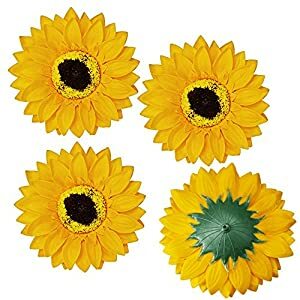 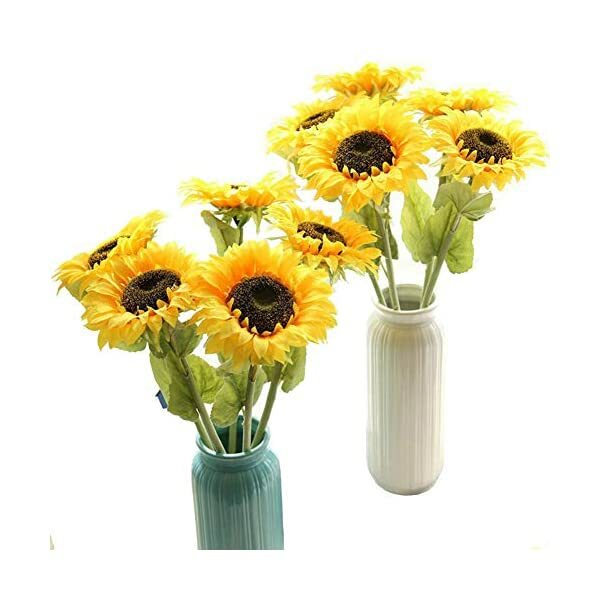 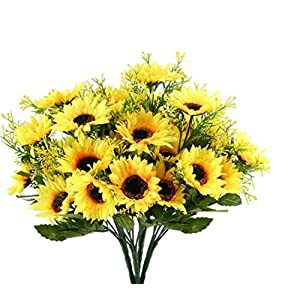 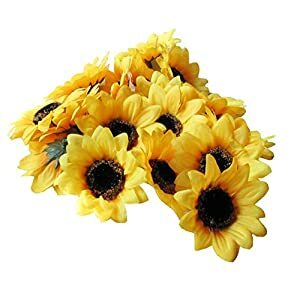 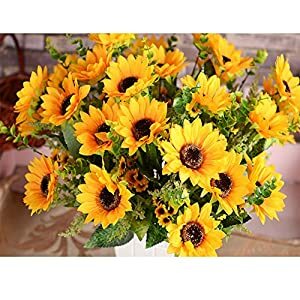 Sunflowers material: High Quality Stem and leaf with flocking coating, silk, plastic, iron wire. The product is made of healthy and environmental materials. 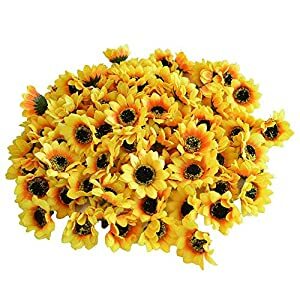 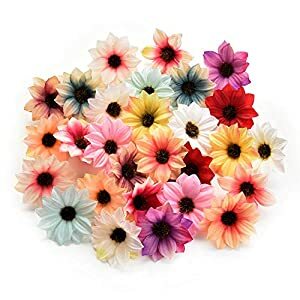 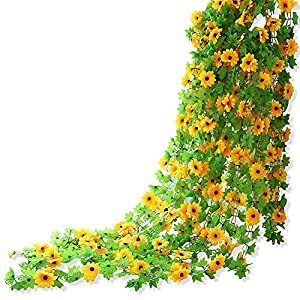 It is great for wedding bouquet, party , office decoration , decor, altar, church , corsages, pew bows, reception centerpieces.